Tip: Let it rest! The best way to lock the juices into the turkey is cover it with tinfoil and let it rest for about fifteen to twenty minutes. Don’t cover the turkey too tightly though because it may begin to steam underneath the foil. How did you get on with the Duck Rillettes starter? Pretty tasty wasn’t it?! For the main course we’re going with the Christmas Classic Turkey but with a twist. We’re making a side of braised red cabbage, the flavours will blend in beautifully as part of your meal. Allow to cool completely, then pour into a large brining bag or pot. Place uncooked turkey in brine solution, then refrigerate for 12 to 24 hours. Quarter the red cabbage and remove the core, then finely shred. Tip into a large pan with the red onion, apple, brown sugar, cider vinegar, red wine, butter and cinnamon stick and season well. Bring to a simmer, then cover with a lid, lower the heat and cook for 1.5 hrs, stirring every so often. Remove the lid and continue cooking for 30 mins until tender. Heat the oil and cook the leek and onion over a low heat for about 5 minutes. Melt ¼ of the butter in a pan, add the onion, zest & season. Add the mix to the breadcrumbs and melt the remaining butter and include. Mix well with the herbs and allow to cool. That’s it for the turkey – best of luck with it and please send us a short message and let us know how you get on. Up next in our Christmas Recipe Series is everyone’s favourite….Dessert! 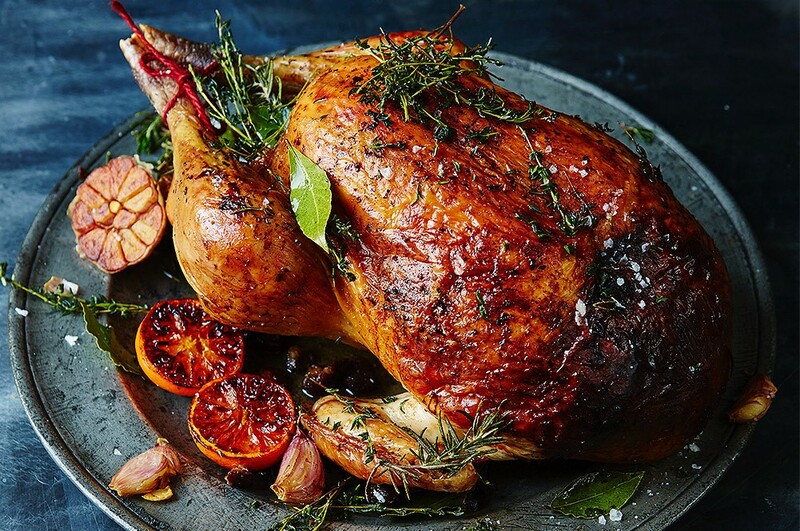 Looking for more inspiration for your Christmas dinner??? Take a look at these…..